"Yay! YouTube showed me its loading circle right when the countdown started"
For the first time, cameras provided live 360-degree video of a rocket heading toward space. But the live feed appeared to skip the actual launch. NASA provided the 360 stream Tuesday as an unmanned Atlas rocket blasted off from Cape Canaveral, Florida, with a capsule full of space station supplies. But viewers of the YouTube stream saw the rocket on the ground one second, then a fiery speck high in the sky the next. Users on Twitter responded to NASA's tweets to report the issue. "Lag basically meant the rocket was there, and then it was gone," one wrote. Another said, "Yay! YouTube showed me its loading circle right when the countdown started. Missed the whole launch." Former Commander of the International Space Station Chris Hadfield speaks with NBC on the importance of space exploration, what being an astronaut taught him about perspective on Earth and why Pluto was kept in the solar system line-up for new space documentary "Miniverse." 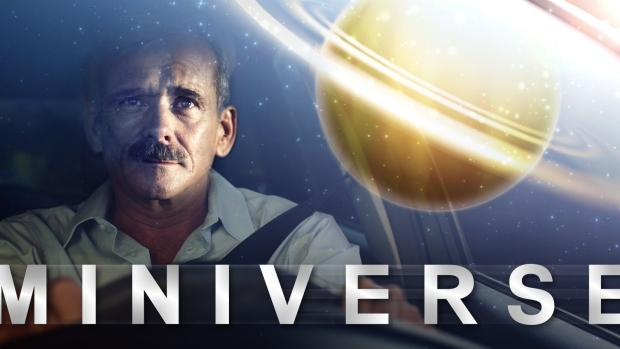 In it, Hadfield, the first Canadian astronaut to walk in space, hosts astronomers and physicists on a road trip from the tip of Long Island, New York, to California's Santa Monica Pier in a scaled down model of the solar system transposed across the United States. The "Miniverse" documentary airs on new science and technology streaming service CuriosityStream. A spokeswoman for NASA confirmed there was a technical issue with the feed, and that engineers are trying to fix it. 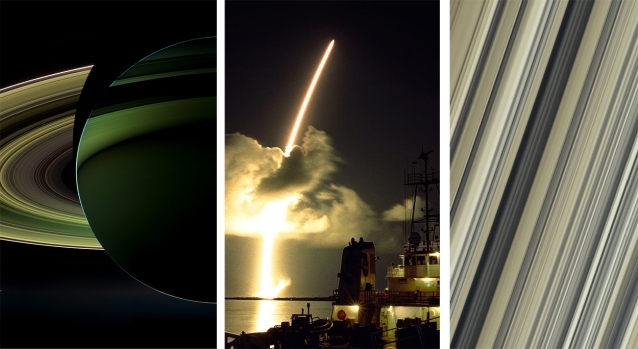 "We believe that the cameras captured it," said Alison Knox at the Kennedy Space Center. A subsequent statement from NASA noted the difficulties with the video feed as well as interest from around the world in the "emerging technology." "This is the first time that this has ever been attempted and while the 360º would have been a unique look at launch, we still have incredible video of today's successful liftoff of the Cygnus spacecraft to the International Space Station from multiple other cameras that provide a variety of views. We will review today's 360º setup and endeavor to bring this new perspective of a rocket launch to everyone in the future." The four fisheye-lens cameras capturing the launch were located at the periphery of the pad, about 300 feet from the rocket. A computer in a blast-proof box stitched together the images for a full, in-the-round view. There was supposed to be about a minute lag time. It was shown on NASA's YouTube channel. "It's great, I mean, to be able to get in there and experience that 360-degree view," said Vern Thorp, a program manager for rocket maker United Launch Alliance, ahead of the launch. Combining that with virtual reality goggles, "it really gives you a new perspective that we've never been able to do before," he said at a Monday news conference. Orbital ATK, one of NASA's main delivery services for the International Space Station, opted to use an Atlas V for this supply run from Cape Canaveral versus its own smaller, Virginia-based Antares rocket in order to haul up more items. The supply ship is known as the Cygnus after the swan constellation, and in this case has been named the S.S. John Glenn. "It's an honor to launch the spacecraft which has been named in memory of John Glenn," Thorp told reporters. Given that Glenn flew on an Atlas rocket and Tuesday's rocket is an Atlas, "I feel like we're bridging history."